Have you ever felt as if you don’t have enough hours in the day to finish what you have planned to do, while others manage to accomplish their goals on time? Time management is the way we plan and organise how long we spend on different tasks in order to accomplish our goals. It is not about squeezing as many tasks into our day as possible. It is more about effective prioritising and organising our workload, and learning how to eliminate procrastination and time-wasting habits. By including it in our own personal development plan, we will not only see our productivity rise, but our stress levels reduce. This course will guide you on how to effectively and efficiently manage your time. Many people feel overwhelmed by the all the demands, distractions and interruptions of the working day, so time management is a very important skill to have in the modern workplace. This course will offer some suggestions for keeping the tide of external demands at bay and help you to develop a truly efficient routine and rhythm to your working day. This online training course will show you all kinds of proven techniques that will help you do just that, and enable you to get the most out of your working day. All levels of staff that need to learn how to manage their time in an effective way. This course will be of great interest to all professionals and workers who feel that better time management skills will help them manage their working day more efficiently and effectively, and help them become more productive. This online training course is comprehensive and is designed to cover the following key topics are listed under the curriculum. This course has been designed for 10 guided learning hours. 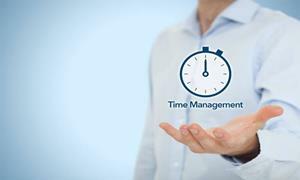 Fill out your details to find out more about Certificate in Time Management.